Black Friday has arriiiiiivvveed! I've never been a huge Black Friday shopper....I value sleep more than saving my monies, but luckily Black Friday deals can be found from the comfort of your couch thanks to the world wide web (with a side of apple cider mimosa). 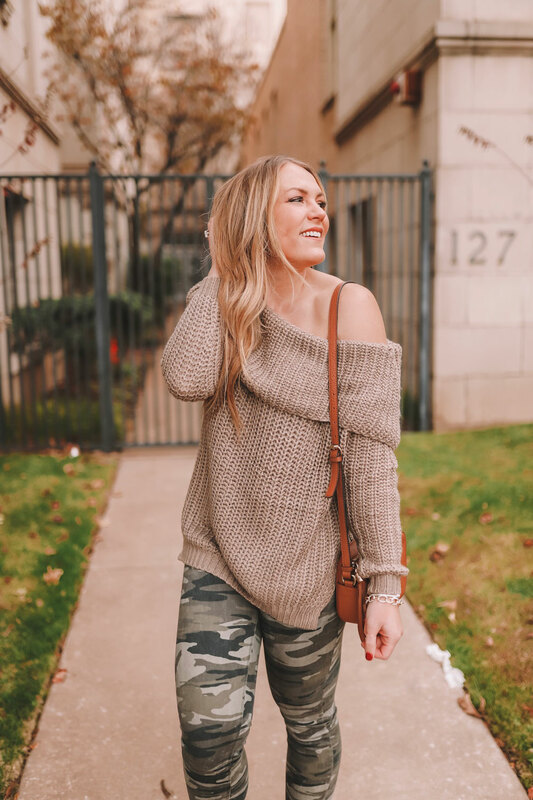 I searched high and low and found some of the best sale items for you! My personal favorite stores and sales are listed below including the specific items I'll be shopping. How was everyone's Turkey Day? I had the best time celebrating Thanksgiving with my parents, brother, aunt and uncle in NW Arkansas. I definitely ate my weight in apple pie! It is a bit gloomy today but it's all the more perfect for staying cozy and comfy. How cute are these earrings?! They are from local Oklahoma jewelry designer, Jen Werner Designs! She has a TON of leather and wood earrings (plus some new bracelets!) in all different styles. For Black Friday, she is offering 40% off $60 or more with code BLACKFRIDAY. These would make great gifts for moms, friends, sisters, etc. and great stocking stuffers, too! 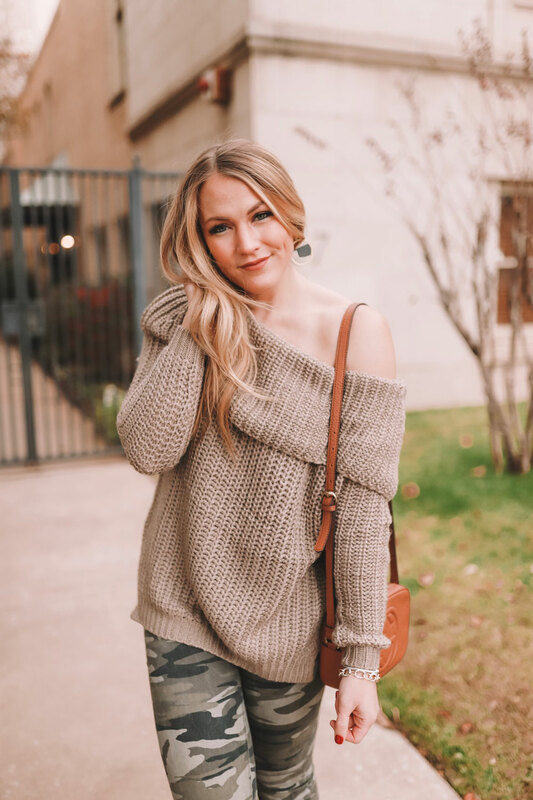 My sweater is a doorbuster from Pink Lily Boutique marked down to $19.99! I sized down - it would be more like a sweater dress if you wore your true size. Their entire site is 30% off with code PLBBLACKOUT, they have a ton of other door busters and everyone gets free shipping! 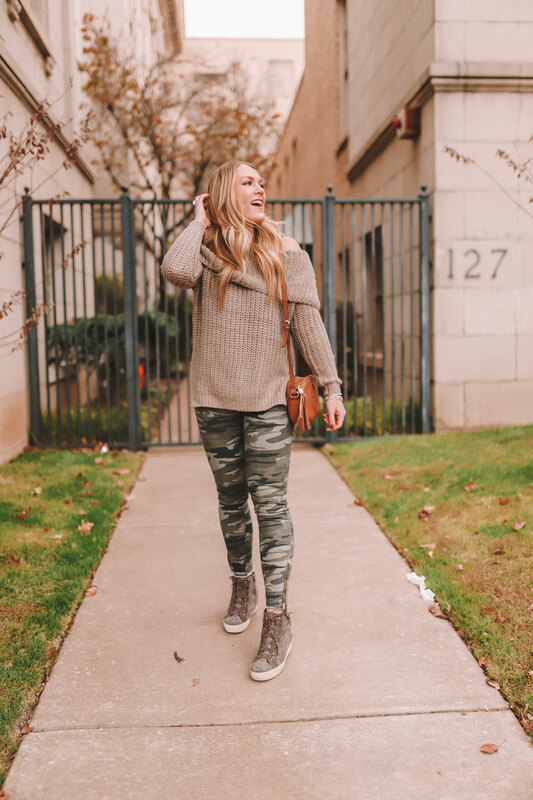 Last but not least, my camo jeans are from Express! Their whole site is 50% off with free shipping. I LOVE their jeans (I size down and order a long). Here are some of the items I have my eye on + the deals I think are most worth while! Abercombie | 50% off site wide + free shipping! American Eagle | 40% off site wide + free shipping! 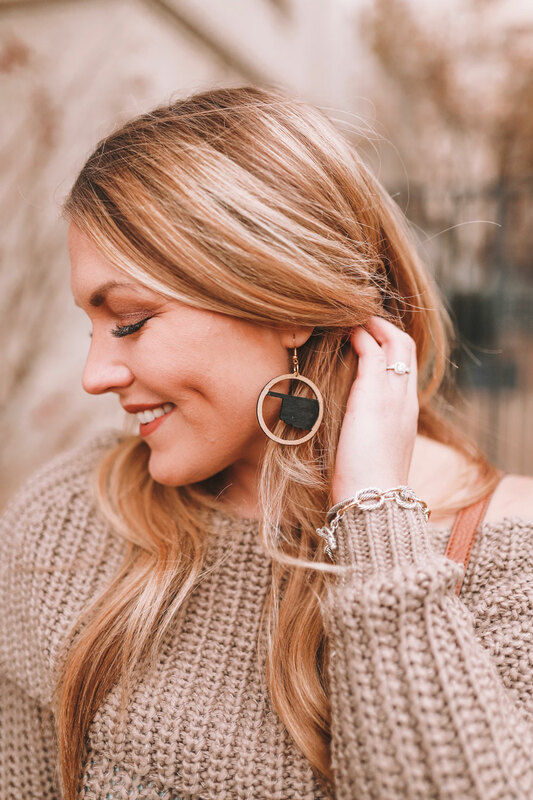 Francesca's | BOGO 50% off and free shipping over $60! Neiman Marcus | $50 off $200 with code THANKFUL, great for a big ticket item! Neiman Marcus Last Call | 40-80% off everything + special deals each day of Cyber Week! What sales are you shopping? Comment and tell me the BEST item you scored... I'd love to hear! Be sure to check back first thing Monday morning - there will be a Cyber Monday sale guide with discount codes and my personal picks + another gift guide!